in v8, I installed the "Sales" module, but in the menu I just see the "Product" item. 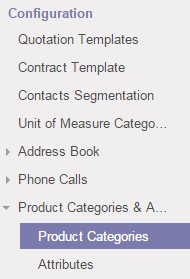 When I create a product I dont see any way to create a category and then the new product shows "All" in the Internal Category field. Do I need a special module for this? Thank you! That solve the issue. I would not have found it by myself. I guess the Category concept is now less significant that it used to be in older versions. Sorry, I cannot "thumb-up" since apparently my Karma is still too low (weird). I will when possible. 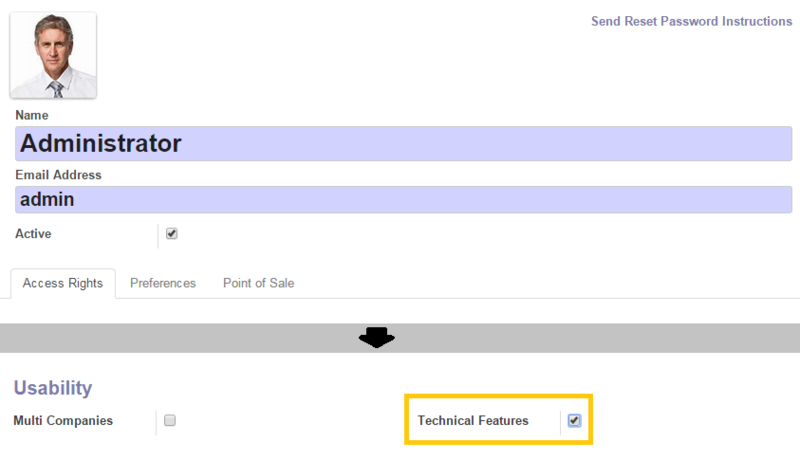 There are certain menus in Odoo that are not available unless the current user is a member of the Technical Features groups. 1. Navigate to Settings --> Users --> Users and open the record representing the current user. I assume this is the same as "Developer Mode"? if you don't have the products categories at the left side of your screen, please install the purchase module. The purchase module will install the menu links so you we able to create and set the catogories for products. Please give a thums up vote if this answers your question.